Oftentimes when people think of dining in the Medieval period, they think of nobles at large tables gathered together feasting,stuffing themselves with fowl, pork, wine, pastries, and the list goes on. Typically we envision knights, nobles and other titled people sitting at these tables. While this did happen, this stereotype does not apply to all and in fact applies to a very small portion of the populace during the time. The Knights Templar were part of this majority who did not engage regularly in such feasts. At least while they were in the service of the Church, and depending on their economical means they may still have not feasted very often at all when they were secular knights prior to and after their service to the Church. But, while in service to the Church, the Church had strict rules pertaining to the daily life and conduct of the Brother Templars. One of these areas of which the knights were given instruction on was their dietary practices. This was laid out for them by the Church in The Primitive Rule of the Templars. From these three Rules in particular that deal with what the Templar knight, as well as his squires and sergeants ate was laid out in such a way that provided for the warrior monks to get a truly well-balanced diet. Meat from animals were allowed typically thrice a week. Sea food/fish was allowed on Fridays, and on the other days of the week meals of vegetables, beans, broths, breads, and surely fruits were eaten. It does not take long to see how such a dietary programme could benefit the warrior monks. It should also be taken into consideration, and logically hypothesised based on Biblical sources against eating in excess that portion control was also a vital part of this diet. Some of the meats that Crusaders, and thus Templars as well ate during the Medieval period in the Middle East were hare, wild boar, partridges, deer, sheep, goats, and camel.5 Other food items were beans, lentil, chick peas, breads, cabbage, lettuces, artichokes, truffles, asparagus, etc…6 The Middle Eastern diet at the time for the knights surely consisted of foods very similar to the foods they ate while still in Europe, but when on campaign, scouting missions, or in particular diplomatic missions, there was surely consumption of authentic Middle Eastern foods as well. It is also known that Asian spices made their way into the diets of the Crusaders. To go along with the dietary practices of the Templar Knights as laid out by the Church, there were also a suitable level of physical activities or exercises to accompany this diet just as one maintaining physical fitness today would balance diet with exercise. The knights engaged in various activities that assisted them in their fitness level. Some of these activities of course were martial in nature, such as training and drilling, not to mention combat actions themselves and the physical nature of such activities. What is true today was true a thousand years ago. That truth is one that the Church and the Knights Templar knew all to well. To be in peak physical condition and to function physically and mentally at the best possible level, one has to have a well-balanced and well portioned diet. The Primitive Rule of the Templars gives us some great insight into the Templar dietary habits and gives us insight into some valuable factors that assisted the Templars in being a well-disciplined, aggressive fighting force for the Church. 1. The Orb:On-line Reference Book for Medieval Studies. Military Orders: The Primitive Rule of the Templars. J.M. Upton-Ward 1992. Accessed at http://www.the-orb.net/encyclop/religion/monastic/t_rule.html Novemeber 4, 2011. 2. The Orb: On-line Reference Book for Medieval Studies. 4. STLCC.Edu. Crusader Dietary Information. Accessed at http://users.stlcc.edu/mfuller/sca/DietCrusader2.html. November 4, 2011. 1. Refectorium/Acre. 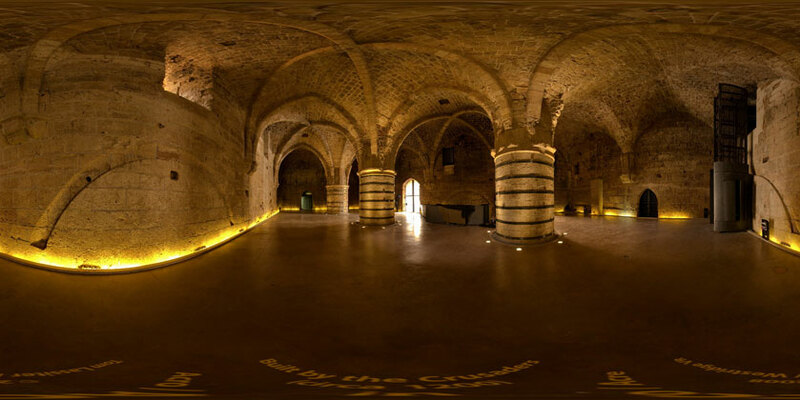 Israel and the West Bank: Panoramic Tour. Accessed at http://www.lassiter.com/mideast/acre_2.html. November 4, 2011. 2. 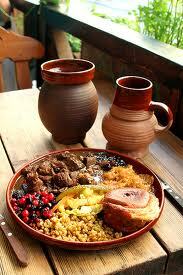 Medieval Meal Picture. Accessed at https://www.ifood.tv/network/medieval_meal. November 4, 2011. 3. 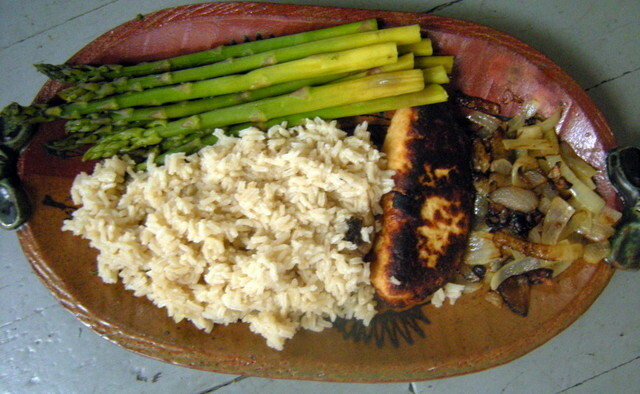 Medieval Dinner Picture With Rice. Pretty Kettle. Accessed at http://prettykettle.blogspot.com/2009/05/blancmange-as-savory-dish.html. Novemeber 4, 2011.